After a hot start and then rapid cooling in his first season, there was no small measure of interest in how this Eagles team would be with young quarterback Carson Wentz under centre in 2017. The answer was, dynamite. The Eagles went 13-3 in the regular season and went into the playoffs as the number one seed in the NFC, the downside? Wentz who had been a magician all season, went down in week 14 with an ACL tear. Since then backup and veteran Eagles QB (via brief spells in Kansas and LA) Nick Foles has been under centre and despite reservations about his abilities he and the Philly defense have seen off both the Atlanta Falcons and Minnesota Vikings and advanced to just the third Super Bowl in franchise history – and in a rematch against the Patriots no less. Easily one of the best teams in the league and deserving of being in the Super Bowl (fun as it would have been to see the Vikings play in their home stadium), the Eagles are the underdogs this game and should be the team of choice for neutral fans. 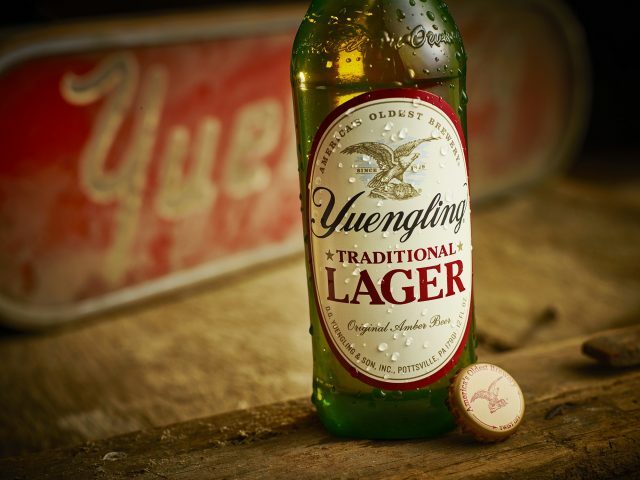 If Boston is the home of Sam Adams then the go-to beer for Eagles fans is Yuengling which is brewed in Pottsville, Pennsylvania, and carries the tag of ‘America’s Oldest Brewery’. Founded in 1829, the brewery has been producing its signature ‘Lord Chesterfield Ale’ and Porter for 189 and has been brewing on the same site in Mahntongo Street since 1831 (the original brewery on Centre Street burned down that year) – it also has a brewery at Mill Creek in Florida. Now producing two million barrels of beer a year, Yuengling is still considered a ‘craft’ producer and with an eagle on its logo is the natural beer choice for Philadelphia fans. If you can get your hand son it though then also look out for brews from: Philadelphia Brewing Co; Yards Brewing; Dock Street; Victory Brewing; Nodding Head, Flying Fish; Manayunk and Sly Fox.